We are five gals who became sisters over a love for Disney! 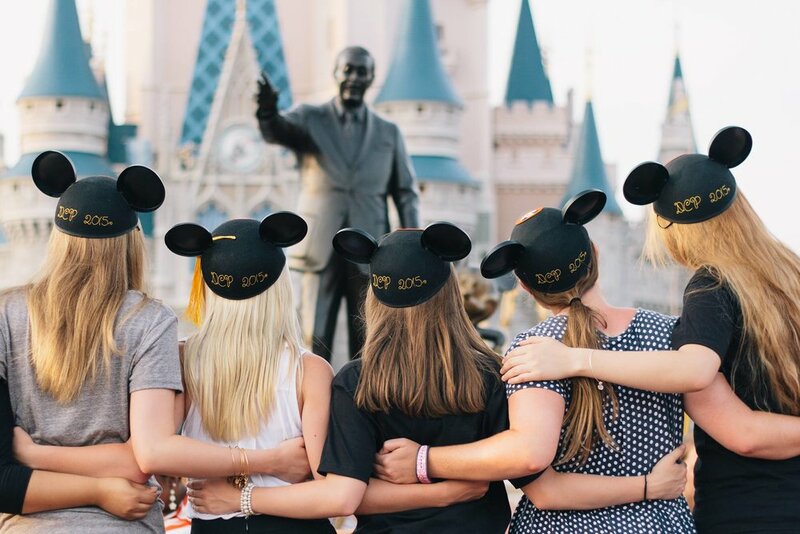 Our blog is your one stop for all things Disney including magical tips, former cast member insights, and ideas to help you plan the perfect vacation. It's a great big blog-iful tomorrow! Each cruise experience is filled with fun, relaxation, and memories. However, sometimes it can be hard to decide between what cruise line to pick that is right for your family and budget. What a whirlwind of a weekend in the Disney Universe. For those of you unaware, D23 Convention took place in Anaheim over the last few days. This event occurs every 2 years and draws massive crowds. If you ever have the chance to attend D23... take it! It is on all of the Sister’s bucket lists to be a part of this convention. Sisters & Disney© Copyright 2017-2019. All rights reserved. Not affiliated with the Walt Disney Company.